3G-AA click is qualified to work at North American UTMS frequency bands. 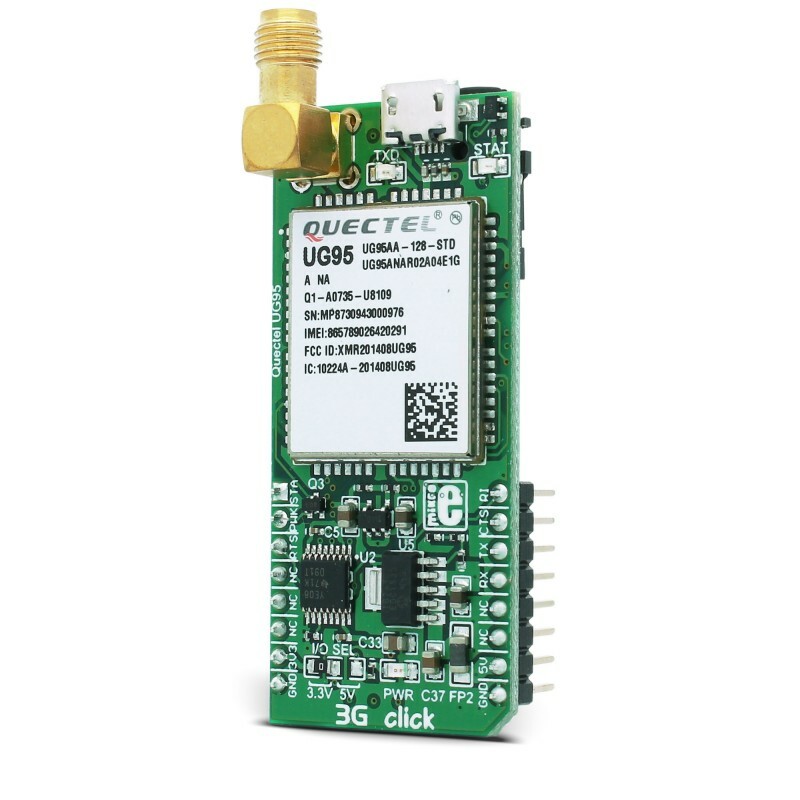 A wide range of Internet protocols and connectivity options, as well as the Quectel’s simple AT command interface via the UART bus, make this click board™ perfectly suited for a wide range of M2M applications, such as mobile Internet terminals, automatic meter reading (AMR), remote monitoring automation and control (RMAC), surveillance and security, road pricing, asset tracking, fleet management, anti-theft systems, point of sales (PoS) terminals, and similar applications which rely on a cellular network connection. 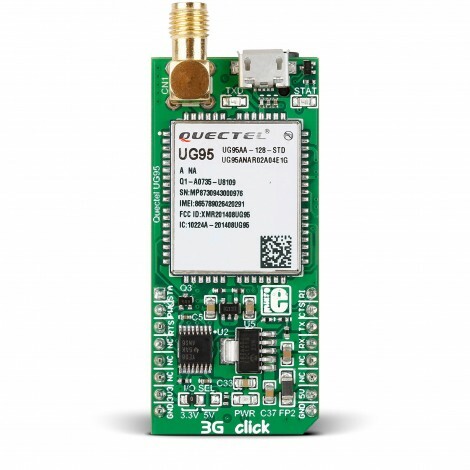 As previously mentioned, 3G-AA click is equipped with the compact dual-band 3G UMTS/HSPA Quectel UG95 module, from Quectel Wireless Solutions Company. This click board™ is compliant with the North American UTMS frequency bands. For the European and Australian region, please visit the 3G-EA product page. A complete list of supported frequencies, along with other relevant info about the module itself can be found in the Quectel UG95 module datasheet. 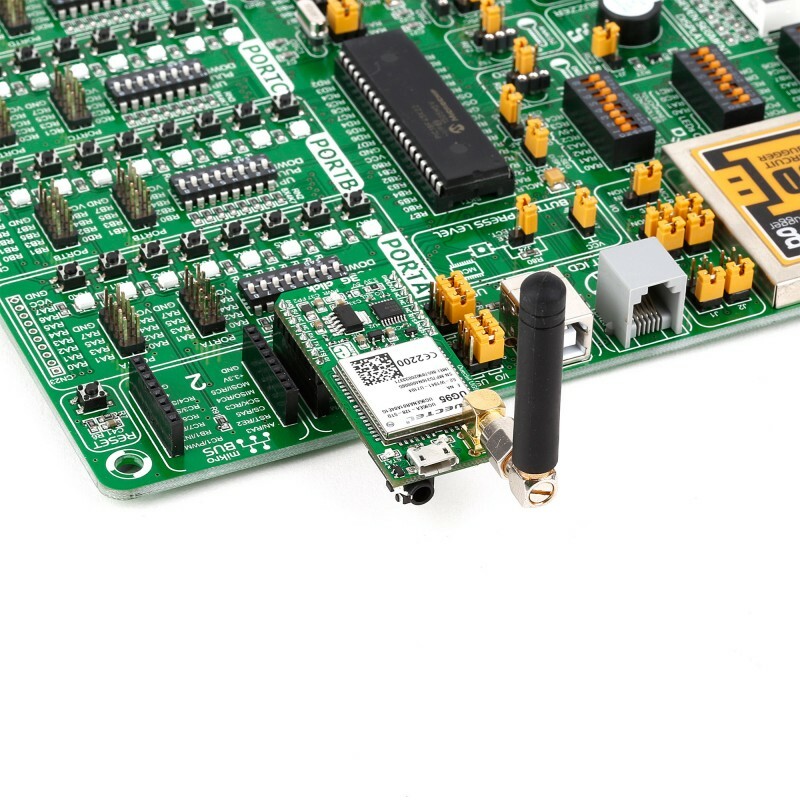 This device is the main component of the click board and it consists of a number of internal blocks or sections, such as antenna switching section, RF transceiver section, memory, power management, and most importantly - the cellular baseband processor. This section contains the logic necessary for managing the other sections and provides the interface to the host MCU. This interface consists of several lines used to report the device and the network status, SIM card interface lines, UART interface lines, USB interface lines, I2C bus lines, device control lines, and PCM bus lines. These lines are routed to the respective elements of the click board. 3G-AA click is equipped with the micro USB connector. It allows the module to be powered and configured by a personal computer (PC). 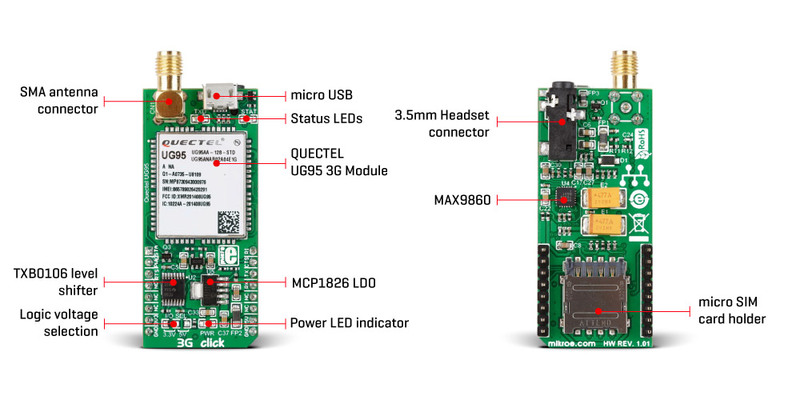 Quectel Wireless Solutions Company offers a software suite that can be used with the 3G-EA click board. This table shows how the pinout on 3G-AA click corresponds to the pinout on the mikroBUS™ socket (the latter shown in the two middle columns). 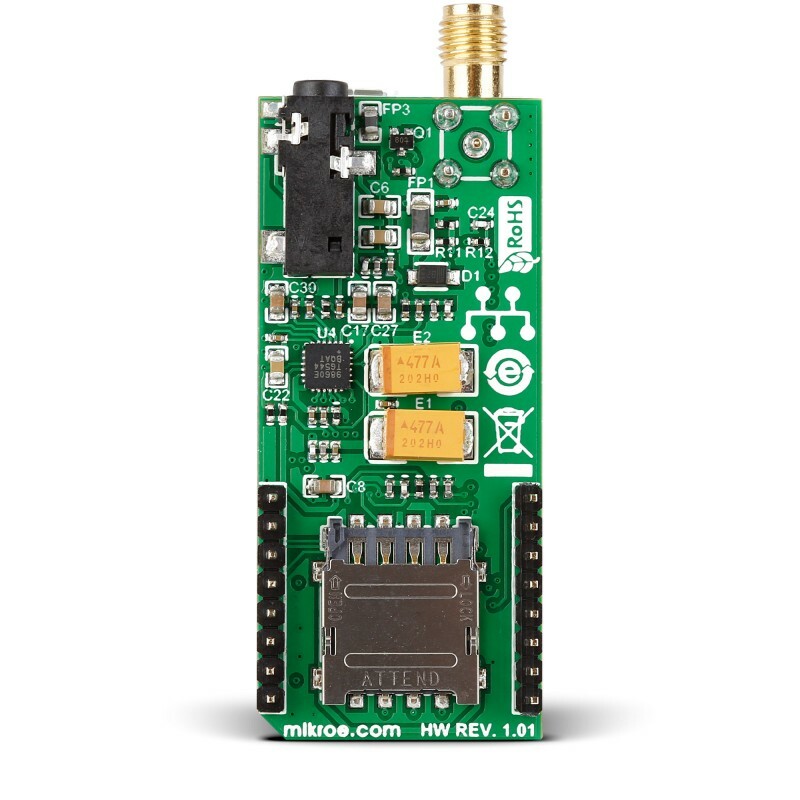 We provide a library for 3G-AA click on our Libstock page, as well as a demo application (example), developed using MikroElektronika compilers and mikroSDK. The provided click library is mikroSDK standard compliant. The demo application can run on all the main MikroElektronika development boards. Before initialization, the module must be turned on and in addition to this, the hardware flow control should also be turned on. Fourth command setup default message format.